Our flower shop hours are: Monday - Friday, 7am to 3pm, Saturday 8:30am to 12:30pm, and closed Sunday. Visit FlowerCraft, Inc., your local florist in Atlanta for the best fresh flowers and gifts! Nothing compares to the joy of receiving fresh flowers. 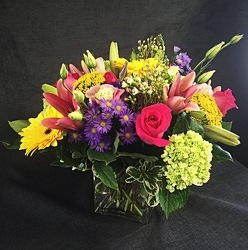 When you need fresh flowers or gift delivery to Atlanta, FlowerCraft is here for you. We have a wonderful array of flowers, roses, and gifts including romantic flowers. 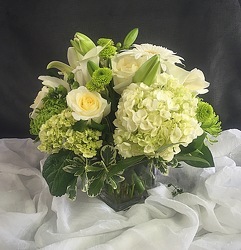 We feature floral arrangements for every occasion - anniversaries, corsages, parties, birthdays, weddings, and every holiday throughout the year. You can count on FlowerCraft to deliver stunning anniversary flowers, or send your heartfelt condolences with thoughtful sympathy flowers. We can help you express any sentiment to make any occasion special. 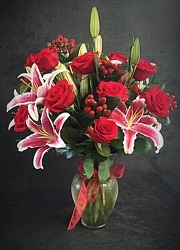 Using our secure website, you can easily send flowers in Atlanta, 24 hours a day, 7 days a week. All flower arrangements are artistically arranged and hand-delivered to the recipient. We use only the highest quality flowers to ensure your loved ones receive the very best every time you order.